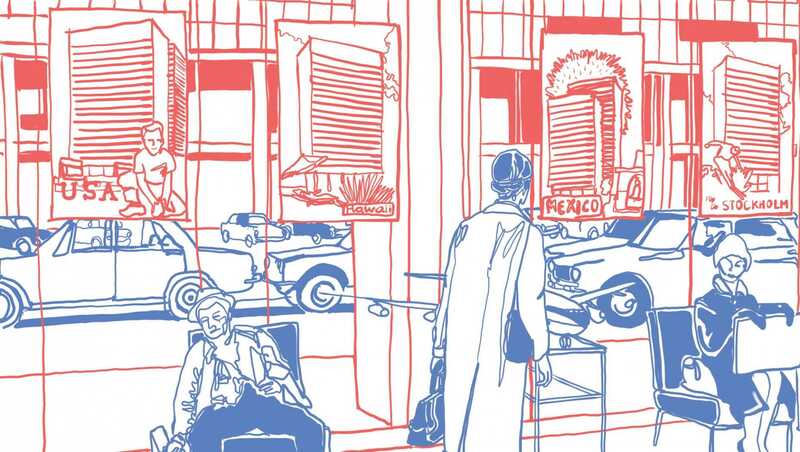 When Jacques Tati decided to direct a movie about the future Paris, he was totally unaware of becoming one of the few who created the modern Paris. After searching for the perfect movie-set in factories and airports all around Europe, he understood that nothing would have been more appropriate than building from scratch its own version of modernism. In fact, in 1964 Jacques Tati covered a wasteland near Vincennes – just outside Paris with a gigantic set: a 15,000 square meters (like 3 soccer field) miniature city made out of 49,600 cubic yards of concrete. A new habitat for a new generation of homo sapiens. More than an urban environment, it re-ensemble a technocratic inferno. Tativille (the name ironically given to the set) isn’t just the representation of a city; it doesn’t have streets, instead it has roads; it doesn’t have shops it has an expo. It’s a crusade against modernism and its most indulgent approval simultaneously. Paris as Tativille is to all intents a beautiful modern city. 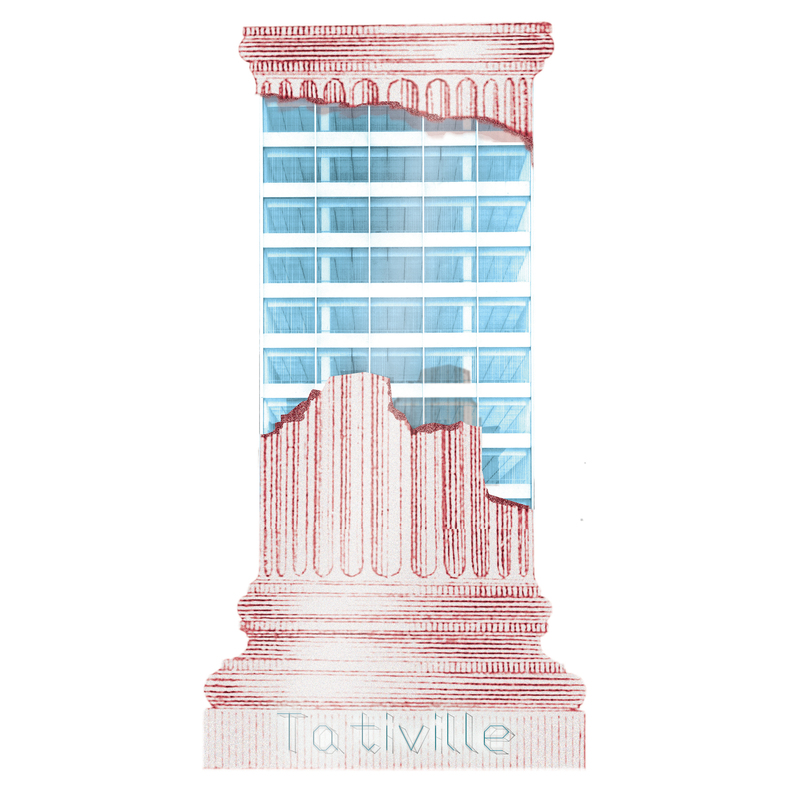 In fact Tati didn’t despise the result of such a city, but the minds behind it. He was not against the objects (the clumsy and witty villa Arpel of Mon oncle is replaced by severe and heroic miesian volumes), but against the culture promoted throughout them. It’s a clear critic against the slightly capitalistic life style that invaded France after the second world war. Some decades before, the renovation of the real Paris became the life obsession of Raymond Lopez, city’s architect and disciple of Le Corbusier. 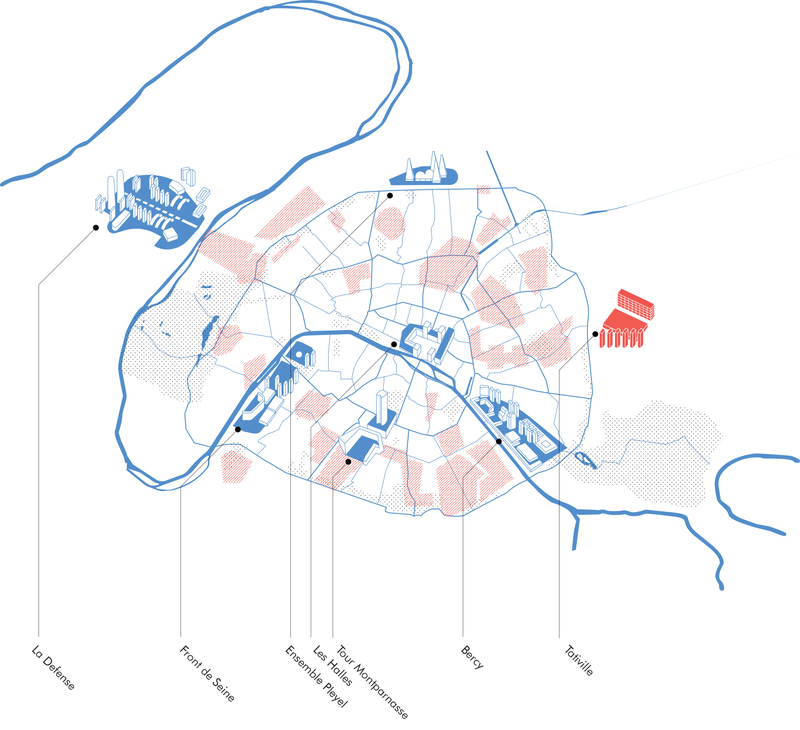 In 1958, Lopez proposed a masterplan that implemented the expression tabula rasa as the main tool for a rampant transformation of the city. 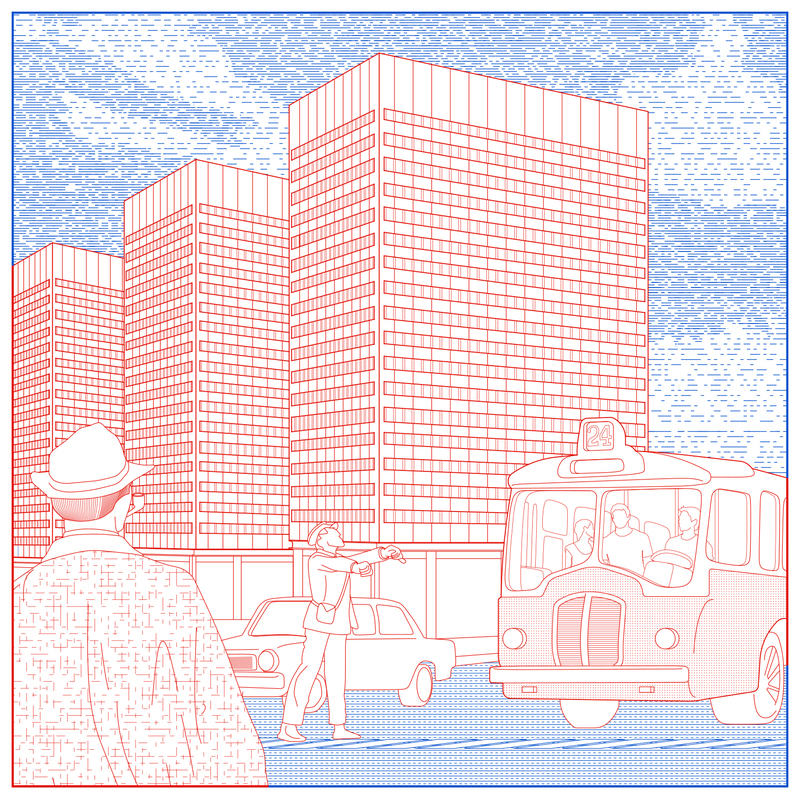 Following blindly the principles of Athens charter, Paris had eventually to be colonized by clusters of slabs, grids of X-tower and enormous horizontal plates, providing a whole set of architectural tools for a silent boredom. One section displays the programmatic segregation: Habiter, Travailler, Circuler. All of a sudden, the French revolutionary spirit isn’t welcome anymore. Among the selected areas (representing all together half of Paris extension) 11 on 50, were partially realized, while the rest encountered an infinite series of financial problems and political shifts. The death of Raymond Lopez in 1966, who eventually died modernist, follows up the progressive failure of the modernist discipline in the making of the City. What remain in Paris of the plan to hygienically erase the past, are few isolated object trouvè in a post-Haussmanian sea, like Montparnasse tower, indigestible to the public opinion and for, ready to be disguised. On the contrary in Playtime, memory is successfully removed. The Eiffel tower, the Triumph arch, Notre Dame, appears as ghostly reflections on the shiny surfaces of Tativille. Thus, Tati not only caricaturized Lopez deterministic vision (somehow acting as a present-day troll), he ended up to compete with him, building a large amount of square meters out of pure modernism. Oddly this large-scale prank, almost as an act of hubris, brought Tati to a total financial collapse, from which he never recovers completely. 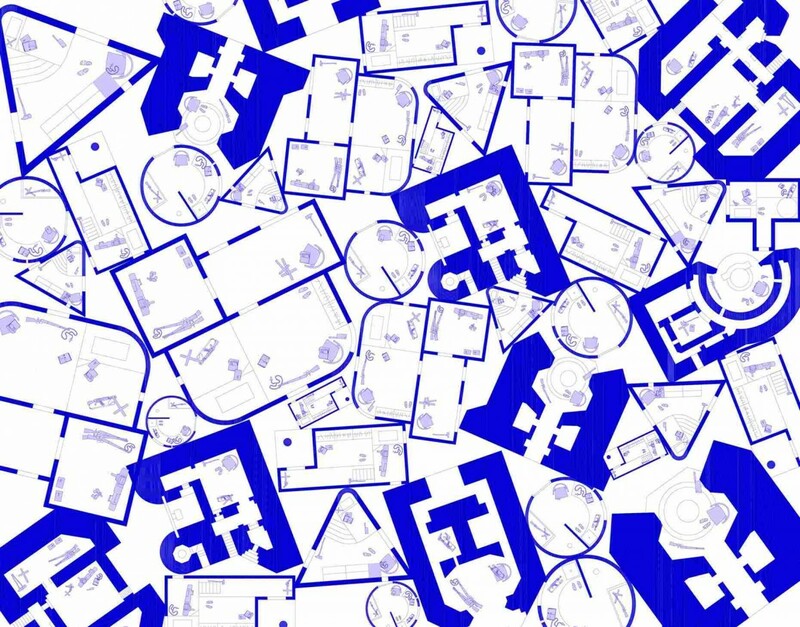 After Lopez and Tati, Paris become the protagonist of a variety of polemical speculations, wide-spreading from the culture of participation to the infrastructural utopias, none of which re-aligned the focus on generating urban form as such. We believe that this comparison represents a precious footprint to track down the drift of the modernist dogma into the disenchantment of the consequent period.